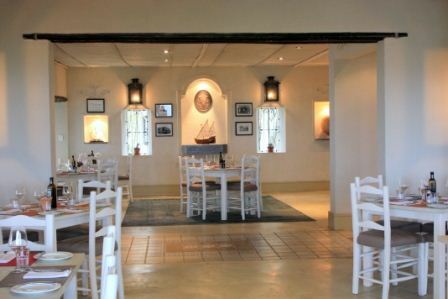 Interior of Spice Route Restaurant. 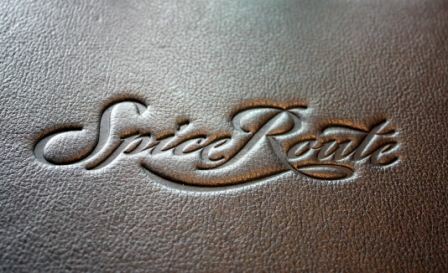 Menus are beautifully bound by thick leather. 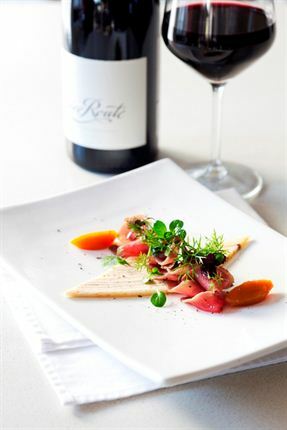 Slow roasted five spice pork belly on chocolate lentils. 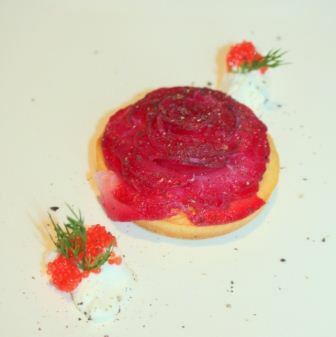 Beetroot cured line fish on a blini with créme fraiche and caviar. 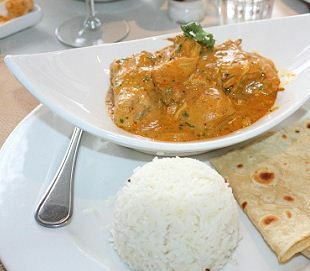 Indian butter chicken with coconut rice. 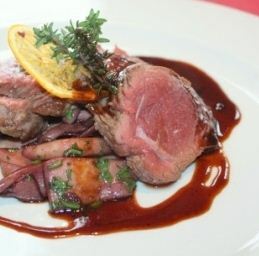 Venison loin with nouvelle mushrooms and Szechuan pepper jus. 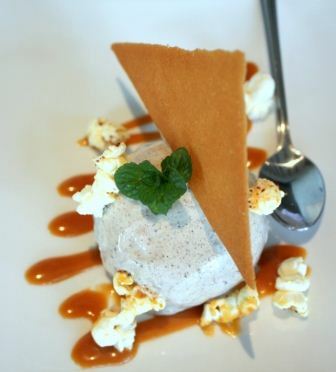 Lebkuchen parfait with caramel and Chakalaka seasoned Popcorn. 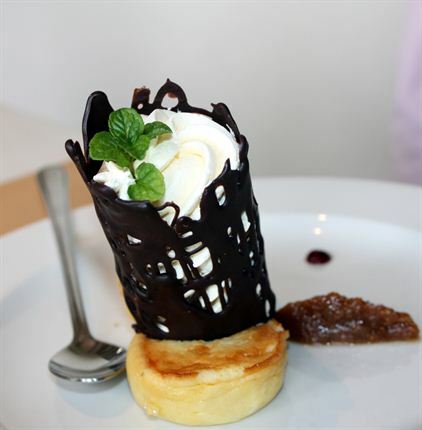 Rose water mousse on a goat's cheese and honey tartlet. 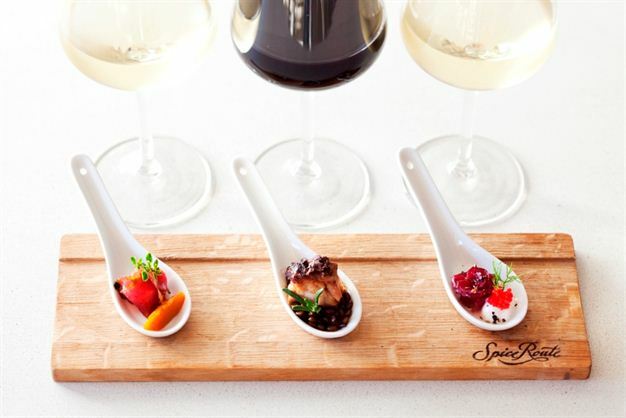 Canapés and wine tasting with Spice Route wines. 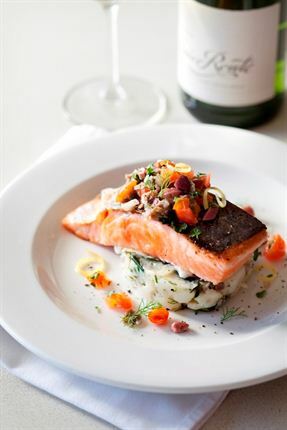 Fresh linefish served on a warm potato and fennel salad with an olive, caper, tomato, anchovy and fresh coriander dressing. 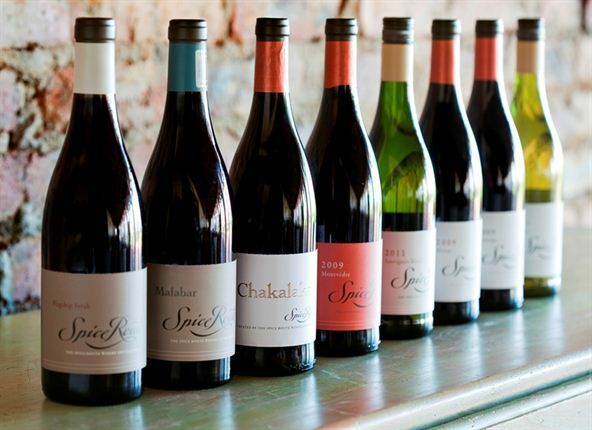 Spice Route's eclectic range of wines. 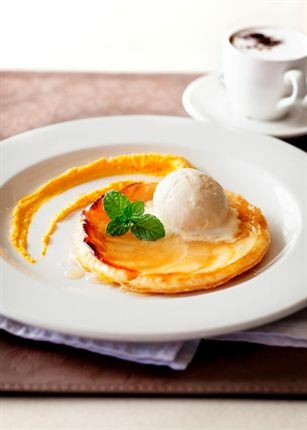 Upside down apple and cinnamon tart on puff pastry, served with handmade vanilla pod ice cream and a carrot and ginger purée. Delicious coffee is served, to end the meal. 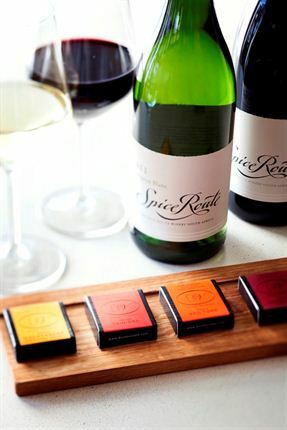 DMV chocolate paired with Spice Route wines.